This super easy quiche is a family favourite. Well let me be honest, we call it Egg Pie. 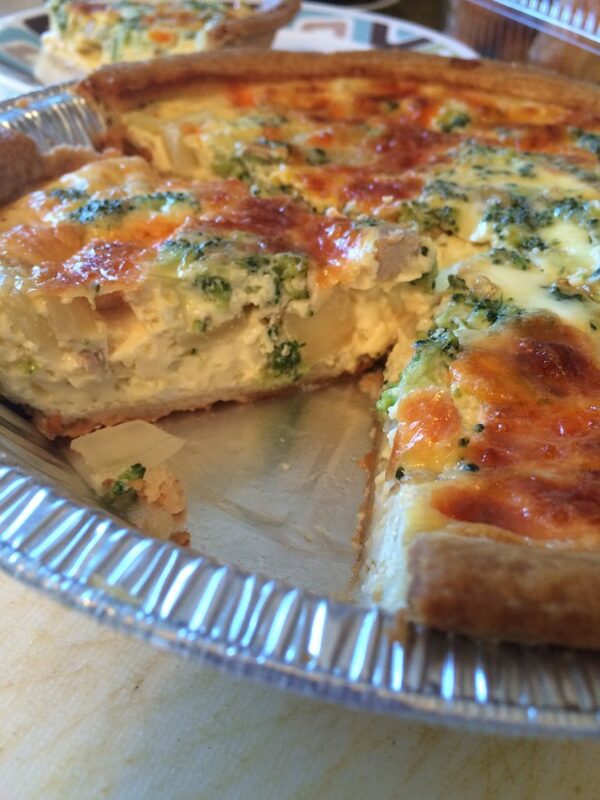 Originally we called it that to trick the kids because they love Pumpkin Pie and we thought the word Quiche would scare them off. I am a busy person. I don’t have a ton of time to spend making dinner. Nor do I want to. This is all you need. And yes, I am on a budget so notice that most things are store brand or no name. Oh, I forgot the cream and milk for the photo. Whoops. Full recipe below. Melt and cook onions until tender in a frying pan. 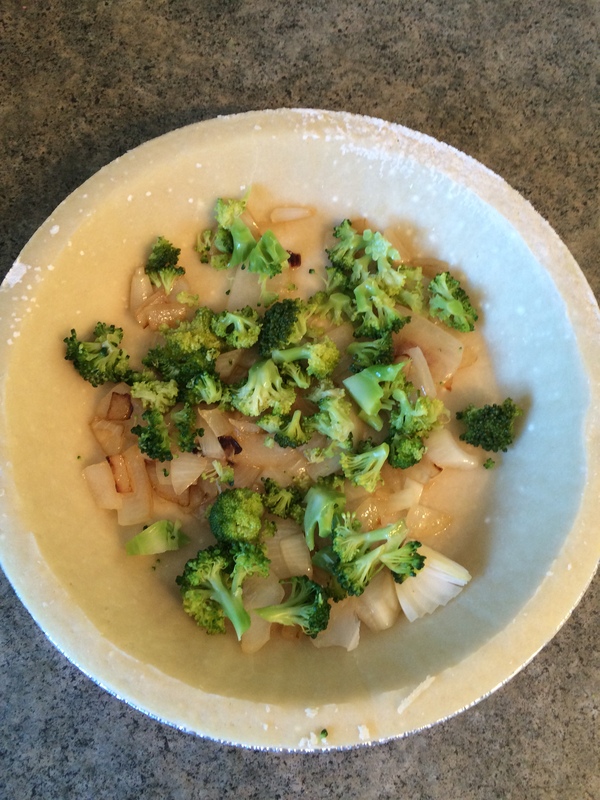 Place onions and broccoli in pie shell. 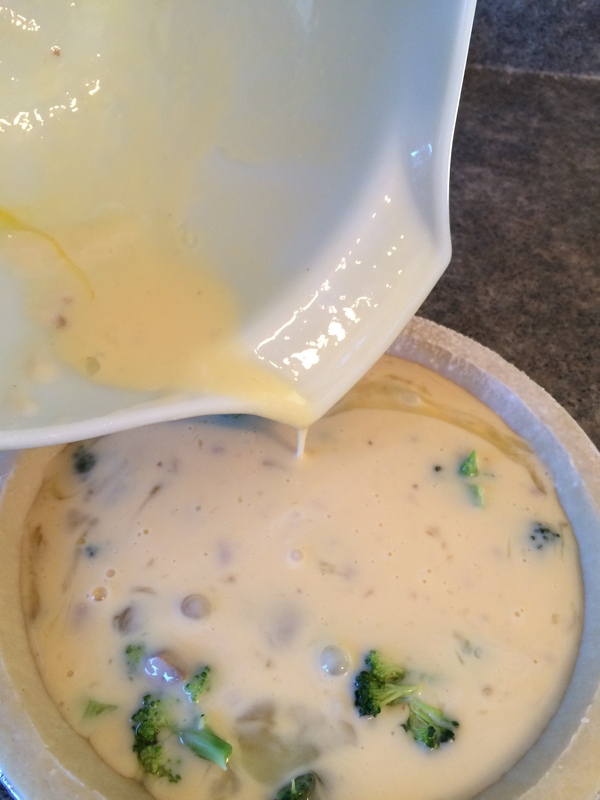 Pour on top of onions and broccoli in pie shell. Fill pretty close to the top, but it will expand a tad once it is cooked. Place both pies on a cookie sheet and bake at 400 for 50 minutes, until golden brown. I think this recipe is weird because of the mushroom soup. I like making food that require a can of soup. To me those are the best recipes in the entire world. Go check out Weird Recipes for some super easy quick inspiration. I have includes some Amazon Affiliate links in the post that lead to some of my favourite products. Cool. I’m going to add this to my meal planning app! YUM. 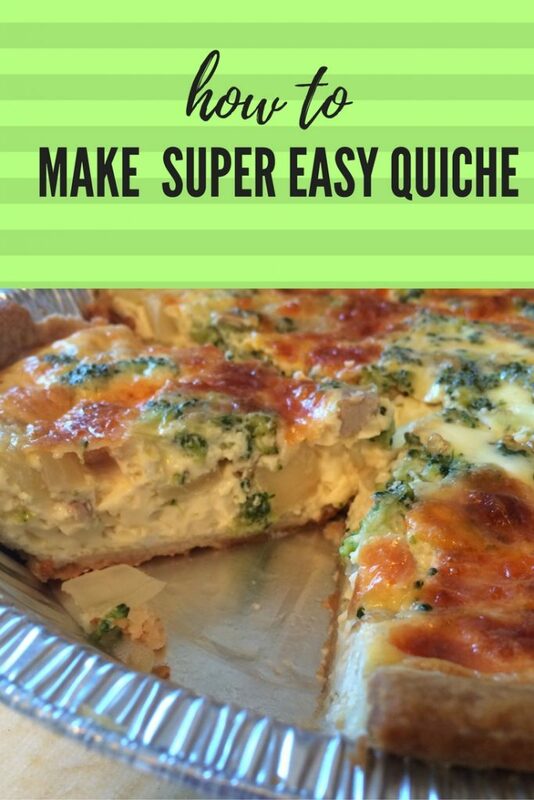 We love quiche in our house! 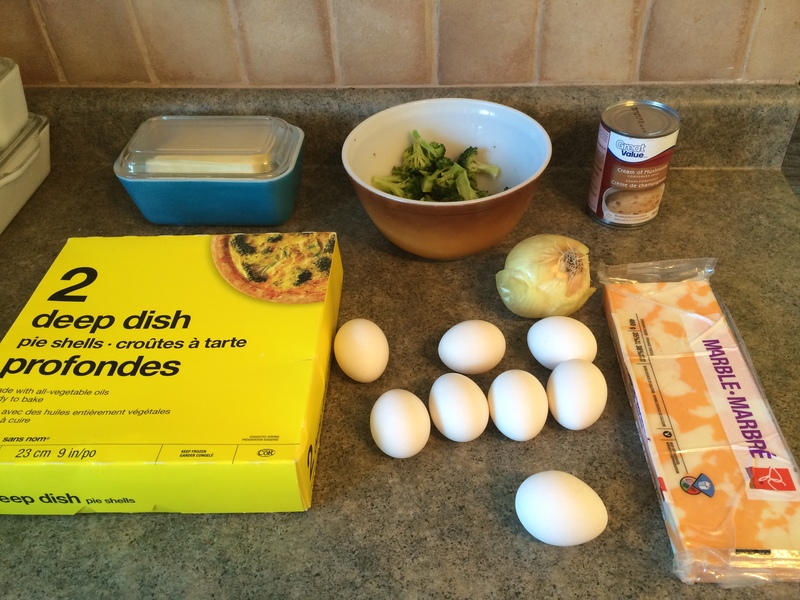 I’m soooo glad that the fall has finally arrived again so that I can make quiche again. This looks like a good one! 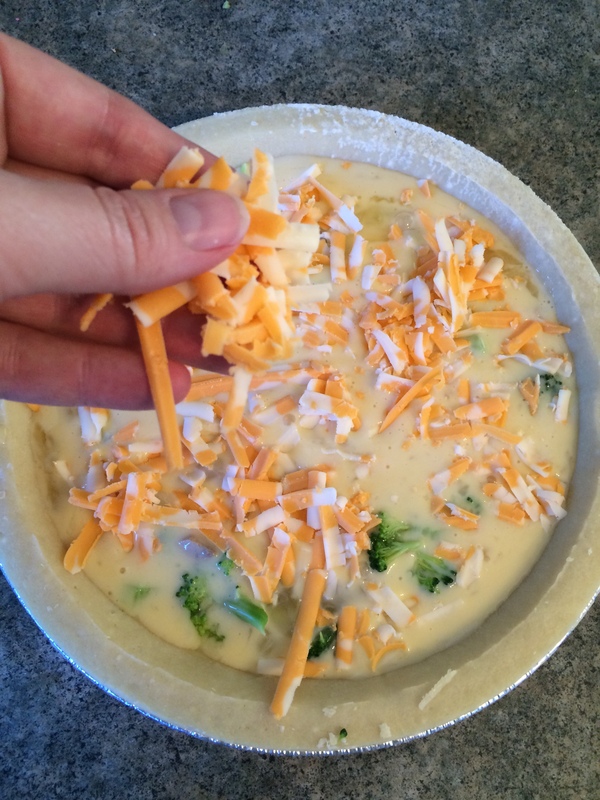 Also – pick up the Pillsbury refrigerated pie crust when it’s on sale. It keeps FOREVER in the fridge, and it’s way yummier than the frozen kinds!